The Semantic Web is here. Those that are taking advantage of Semantic Technologies to build a Semantic SEO strategy are benefiting from staggering results. From a research paper put together with the team at WordLift, presented at SEMANTiCS 2017, we documented that structured data is compelling from the digital marketing standpoint. In other words, many still think of Semantic Technologies belonging to the future, when in reality quite a few players in the digital marketing space are taking advantage of them already. Semantic SEO is a new and powerful way to make your content strategy more effective. In this article, I will explain from scratch what Semantic SEO is and why it’s important. In a nutshell, search engines need context to understand a query properly and to fetch relevant results for it. Contexts are built using words, expressions, and other combinations of words and links as they appear in bodies of knowledge such as encyclopedias and large corpora of text. Semantic SEO is a marketing technique that improves the traffic of a website by providing meaningful data that can unambiguously answer a specific search intent. It is also a way to create clusters of content that are semantically grouped into topics rather than keywords. In a famous Google patent on context-vectors, an example of the word “horse” is provided. The document looked at how the same word can have different meanings: a “horse” is an animal for an equestrian, a working tool for a carpenter, and sport equipment for a gymnast. In Semantic SEO, much like Wikipedia does, content is cataloged and organized around each context in such a way that machines can understand and value its uniqueness. Before we dive into how to use Semantic SEO, we need to talk about how important it is, and where it originated. On Feb. 2009, Sir Tim Berners-Lee, the founding father of the web was performing a TED talk in Long Beach, Calif. He spoke of the formation of a new web, built over the past net. A Semantic Web based on open linked data. Now the Semantic Web is here, and its technologies are available to digital marketers to make their SEO strategy more effective. How did we get there? Let’s take a few steps back. Today well over a billion websites comprise the web. http://t.co/D9pwMXuZOa recently passed a billion websites by their count…. In less than a decade, the number of websites exploded. It comprised millions of pages. Berners-Lee figured out he could connect web pages with what we all know today as hypertext. However, surfing the web was still limited because you could just go from one page to the next through links: the effort it took to find what you were looking for was massive. This idea led to the creation of PageRank, which was the foundation of Google, an algorithm that could rank pages on the web based on the popularity of each page. The more quality backlinks a website received the more it could rank higher in the SERP. Backlinks are still the backbone of the web. However, on that backbone a new web blossomed. In 2012, futurist Ray Kurzweil arrived at Google, with one mission: make search engines understand human language. From that quest Google updated its algorithm in 2013, with Hummingbird and later on in 2015, AI became a major factor for search RankBrain. For instance, if I type in the search box “french fries” I may be looking for something to eat or just the story behind the name. Of course, if I do this search at 8 a.m., I’m probably more interested in learning the story behind the food. If I do the same search at 8 p.m., I may be looking for something to eat for dinner. But how does the search engine know what is the context? It reads human language, through Natural Language Processing (NLP). Before we dive into it, how does NLP work? You may think this is simple keyword matching, but it is not. In short, Google knows I’m referring to the same thing and gives me the proper answer. But if Google isn’t looking anymore at keywords (at least for specific queries) where is it getting the results? Google learns through topics. In the context of the Semantic Web those concepts are called entities. Those entities are organized in Giant Graphs. 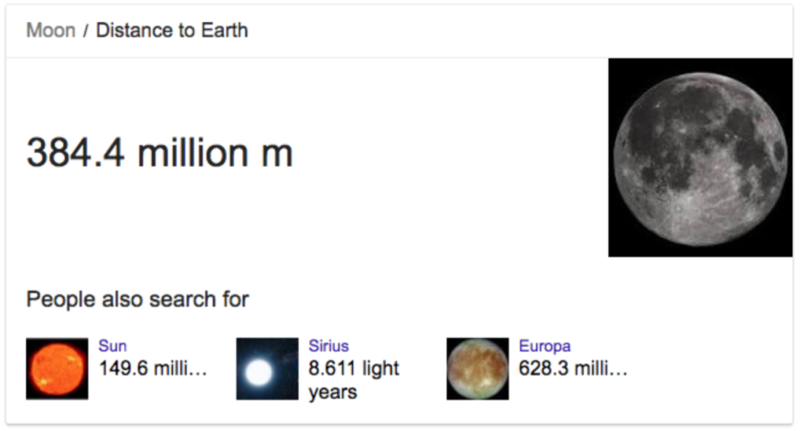 In fact, on May 16, 2012, Google announced the use of a massive Knowledge Graph. In other words, it is a knowledge base to provide more useful and relevant results to searches using a semantic-search technique. 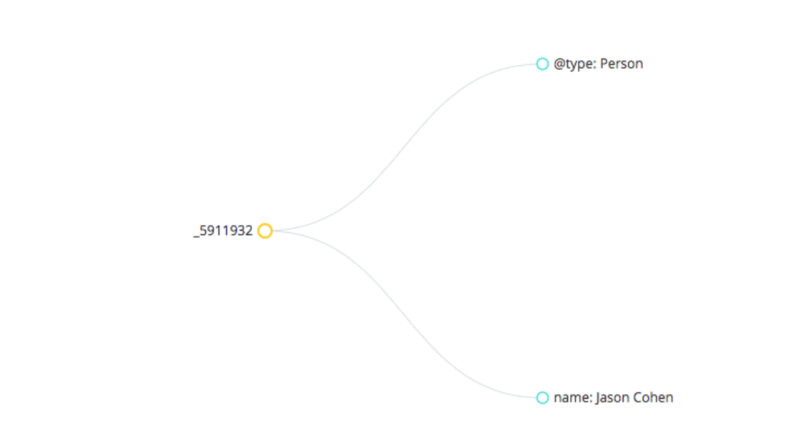 I’m going to reconstruct how a knowledge graph works, by starting from an entity. But really, what is an entity? In the Semantic Web an entity is the “thing” described in a document. An entity helps computers understand everything you know about a person, an organization or a place mentioned in a document. All these facts are organized in statements known as triples that are expressed in the form of subject, predicate, and object. Source: What is an entity in the Semantic Web? Why are Entities Way More Effective than Keywords? Through entities you create meaningful relationships that can be read, understood, and interpreted by search engines. That is what Semantic SEO allows you to achieve. Entities, in the context of the Semantic Web, are really data points that computers can use to analyze and interpret the human language. Let’s take this a step at the time. How do entities gain context? In its most basic definition, metadata is just data about data. The concept of metadata is not new. In fact, librarians have been using it for a long time to discover, and manage documents. Imagine, that for each document you’re specifying the author, date, book length, and so on. That is all metadata that helps classify a book. Therefore, it makes it easier to find it later on. To work appropriately, metadata has to follow a logic of classification that everyone understands. In short, there must be a set of rules that everyone can follow to make the system work. Like in a vocabulary where grammatical rules are arbitrarily selected to create a standard language. Ontologies are the foundation of metadata. The simplest form of an ontology is a vocabulary. The vocabulary that today makes Semantic SEO possible is called Schema.org. 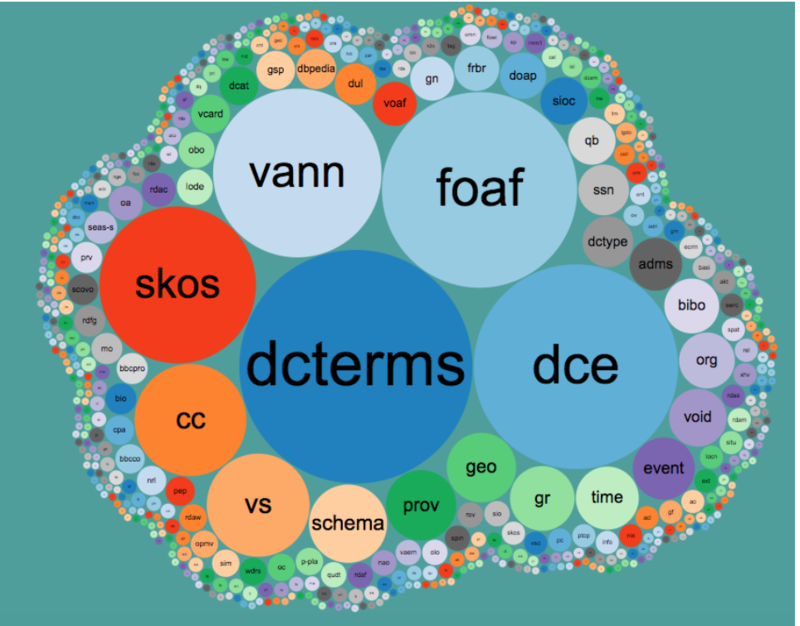 As we saw, the pillar of the Semantic Web is a linked open vocabulary shared across different websites, driven by an open community and usable alongside other open vocabularies and ontologies. Like in language, where the lack of standard grammatical rules makes it hard for the same language to exist. So the Semantic Web wouldn’t be here without a gold standard. Schema.org is that gold standard. In fact, out of all the competing standards that existed, Schema.org was the first linked open vocabulary that was introduced for a business-driven purpose (helping search engines organize the web and improve the quality of their results). There are today 617 open vocabularies in the linked data world and they can be combined to organize and structure different knowledge domain. In terms of SEO, Schema, being created by the search engine themselves is the most useful. By adding schema markup to web pages, content is interlinked with data using standard linked vocabularies like schema.org and becomes more accessible. Information, in the semantic web, is written using subject–predicate–object predicates called triples. Like an atom in the material world, a triple is the most fundamental part of how information is encoded in a knowledge graph using semantic web technologies. A triple comprises a subject–predicate–object expression (Jason is 40 or Jason knows David). Each entity gets connected to the next through relationships that are expressed with simple triples. Like in reality where from simple local rules, arise complexity. By mixing up billions of triples, you get the Semantic Web. Within each triple, we can add more information in the form of subject-predicate-object and using a particular Schema type and its associated properties, so that we can make each piece of information truly accessible to machines. Why is JSON-LD the best format for structured data? That is also why Google incentives websites owners to use structured data on a web page in the form of JSON-LD. This format allows entities, therefore concepts to become linked. However, that information can still be ambiguous. For instance, in the example above Jason Cohen can be either the founder of WP Engine or the American filmmaker. I’m referring to the former obviously but how do I make a search engine understand that? Once again, linked data (a semantic web standard for publishing data) is the answer. Why is Linked Data so Important? Schema is the vocabulary used to help a search engine understand the content of webpages. Linked data is a method for publishing structured data using vocabularies like Schema that can be connected together and interpreted by machines. Using linked data, statements encoded in triples can be spread across different websites. On Website A we can present the entity Jason and the fact that he knows Marie. On website B we can provide all the information about Marie and on the Website C we can find information about Marie’s birthplace. Each page contains the structured data to describe an entity and the link to the entity that could be described on a different website. Semantic plugins like WordLift can link one entity with another much like you do with web pages. But how can you make sure that search engine understands unambiguously that you are referring to the CEO of WP Engine and not to the movie director? How Can I Link Entities With One Another? URL of a reference Web page that unambiguously indicates the item’s identity. E.g., the URL of the item’s Wikipedia page, Wikidata entry, or official website. It is like you’re saying to the search engine “this is the same thing as the one you find at this address.” Today only between 10,000 to 50,000 domains use this property. That is also why you can make a difference in your SEO strategy by using it. However, the sameAs property alone might not be enough if you need to query the data that you’re publishing (or simply if you want others to query the data that you’re publishing across multiple datasets). You need something more. You need to publish data following the so-called five-stars open data scheme introduced by Berners-Lee that requires you to link every piece of data with other data. Here is where the owl:sameAs property comes into play. Why is it Important to Publish 5-stars Linked Data? There are four simple principles to follow when publishing data on the web (and yes, structured data is open data as it is fully accessible). Include links to other URIs. so that they can discover more things (and here is where we need to add owl:sameAs property). To simplify a 5-stars open dataset is simply a way to publish metadata (using linked data standard) that makes it readable and accessible by machines. That is why by connecting a piece of text, written by a human with an open dataset created by a machine, our content becomes fully accessible and machine-friendly. Once again Semantic SEO is about helping machine understand our content by using open web standard to describe it. Some of the primary datasets that implement the 5-stars linked data schema are foundational for the machine learning algorithms behind semantic search engines like Google and Bing as well as digital personal assistants like Alexa, Cortana, and the Google Assistant. 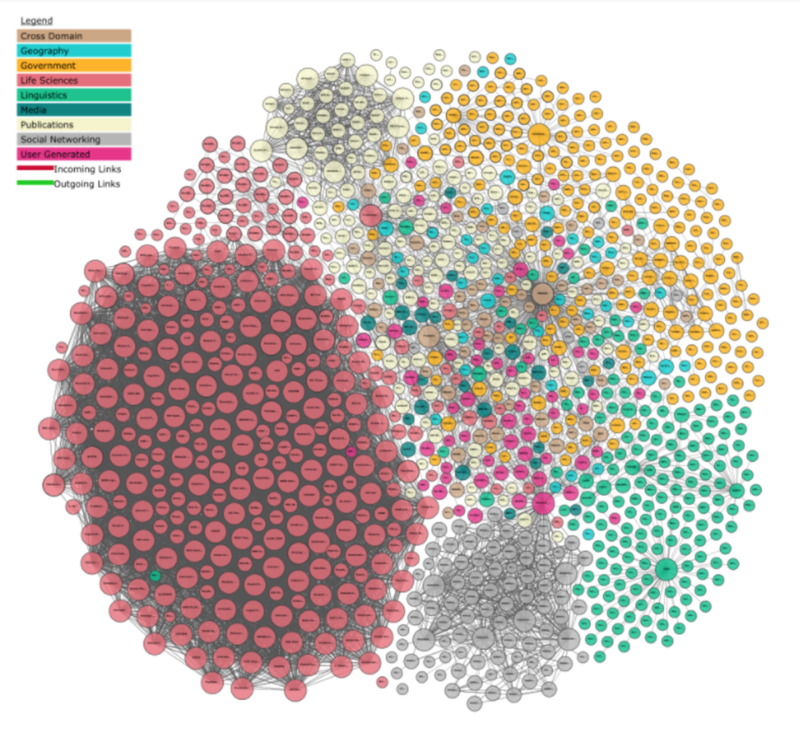 These datasets (like DBpedia, Wikidata, Geonames just to name it a few) are all interlinked together to form a Linked Open Data Cloud. When you add structured data to your WordPress website using a plugin like WordLift, that structured data gets published as open linked data. In short, your WordPress website, and the metadata of your own content becomes part of that Linked Open Data Cloud. Thus by adding an additional layer to the Semantic Web your WordPress website also becomes part of it! How Can you Link Entities from your WordPress Site to the Linked Open Data Cloud? Imagine we want to explain to a search engine Matt Mullenweg is and link the page I have for him on my blog with entities in the LOD cloud. How do I do that on my WordPress website? As you can see above, I used WordLift within my WordPress to create a page about Matt Mullenweg. That page is set up as a Schema Entity Type “person”. 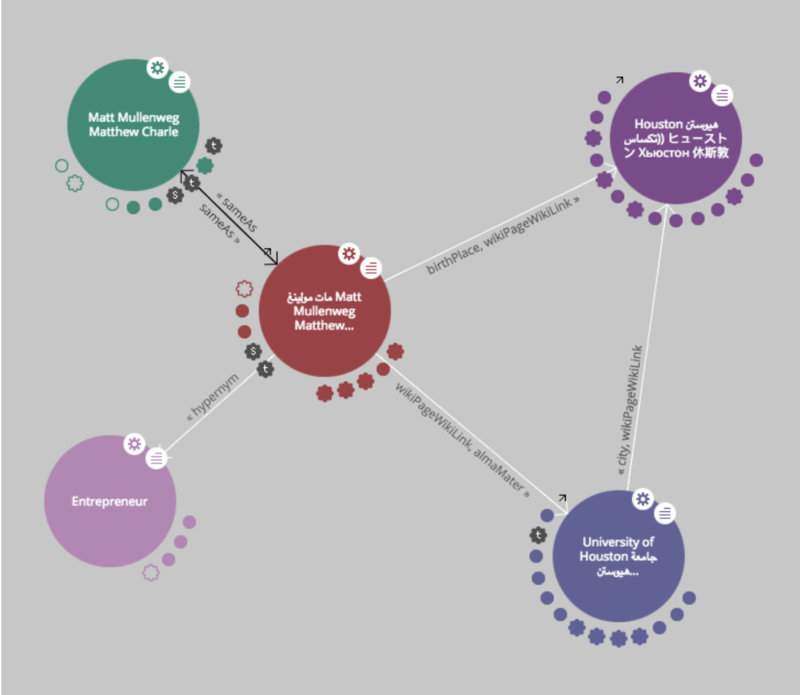 To make it clear who I am talking about I run a search using WordLift that taps into giant graphs published in LOD and in a snap I can get the reference to the entity of Matt Mullenweg on Freebase, Wikidata, and DBpedia. Once I update the page, the Schema sameAs, and the owl:sameAs properties are automatically added by WordLift and made available to search engines. The structured data has been created without writing a single line of code and now Google can crawl and index that page way more efficiently. However, there is also more to it. As we saw earlier by using 5-stars linked data now my data is interoperable with other datasets and published also off-page in an RDF-based knowledge graph. As you can see we have a set of triples that tell us a story: Matt Mullenweg, also named Matthew Charlie, was born in Houston and attended the University of Houston. He is an entrepreneur. A knowledge graph doesn’t speak any particular language. Language is human; a knowledge graph gets expressed in open linked data, which is the language of machines. Imagine your entire website built upon a large knowledge graph made of all the metadata that describes the thing that you write about. That knowledge graph becomes part of a larger graph that comprises the new web. That is the power of Semantic Web. Throughout this article, we saw that the Semantic Web is here. A few players already are using semantic technologies in the digital marketing space. They are getting tremendous results from SEO and findability standpoint. That is the birth of a new field, within the SEO industry, commonly referred as Semantic SEO. Although, backlinks are still the foundation of the web. Keywords are losing relevance, and they will lose it even further over time. Semantic SEO allows you to structure your content around triples and topics and to gain control over context-vectors that search engine uses to rank your content against a particular search intent. Data is encoded into properties defined within a set of linked vocabulary like Schema.org. 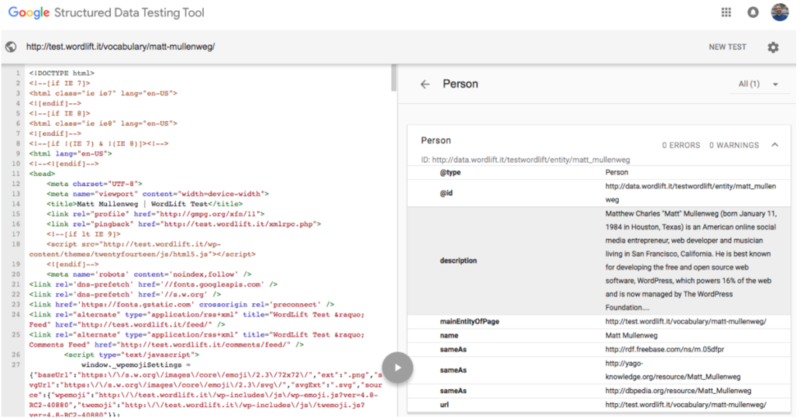 When you add linked data to your WordPress website using a plugin like WordLift, you add structured data that can be quickly read and understood by search engines. From that linked data, machines can extrapolate relationships and context, in a word: topics and meanings. When that structured data is published in a knowledge graph using semantic web standards, your WordPress website “joins” the Linked Open Cloud. Being part of the Semantic Web means making data accessible to machines and allow them to compute it for providing better answer and for improving the quality of the traffic that they will bring you. It also means that you’re back in control of your content: you’re now publishing content but also the metadata that is required to market and to monetize this content. Your SEO strategy is now Semantic and all you need to do is just a simple plugin that you will find featured in the WP Engine solution center. Part of the growth team at WordLift. Gennaro helps the company accelerate its growth while focusing on business development and innovative content strategies. He is also the creator of the FourWeekMBA.com.